I am looking for some help here. I have an 04 LTZ400. Yoshi Exhaust/K n N air filter. Here is my issue. Bike starts and idles perfect, Takes throttle well until I guess about 1/2 throttle. Anything above 1/2 it bogs out, it does not stall but bogs as if it has had the fuel turned off. This happens while just sitting in the garage or out on the trail. If you play with the throttle the whole time, its much better. Almost normal, but if you hold it at or anything over 1/2 throttle it bogs out like its run out of fuel or been shut off, then after 3 seconds it takes back off then bogs again. I have read about these issues on here and have tried as many things as I could. -Choke cable seems to be moving well not pinched and works well when starting on cold morning. Please help, its my sons quad and it would be nice to have running correctly. I think I will pull the main jet and see whats in it, then maybe boost it up. Run that new plug a bit and check it again. If the plug has black soot, it may be too rich already. See if the diaphragm is holding the slide open or bleeding off and letting it fall. The diaphragm or the little o-ring next to it under the big plastic cap may have a rip in it. That may explain why it’s better if you blip the throttle a lot rather than hold it steady at half-throttle. I changed the plug about 2 months ago, The one I took out looked sootie. I had the carb all apart and did not notice any rips or tears but I will check again when I check too see the jet size thats in it now. Much easier buying a stock machine, this one has been slightly modded, Yoshi pipe, air filter, looks like upgraded CDI box. Once you get the carb back together, with the intake tube off, just work the throttle with the motor shut off. If you go wide-open, it should lift the slide and hold it there. Even a very small dryrot pinhole will let it fall. Heres a Pic of last plug...Also I appreciate the comments and will check the rubber diaphragm/Boot tonight. Last edited by Duffieboy; 11-08-2017 at 03:22 PM. Ummm by slide do you mean the black cylinder part. If so it does not move at all when I do this. Last edited by Duffieboy; 11-08-2017 at 05:29 PM. Ok the small jet up front is 60. Or thats what it looks like. The other one is 150. Im guessing 60 is way to big. Most i see pepole using is 25. The 150 may be ok. Also from what im reading air filter ect maters. So i have an air filter down in the box just looks normal and it has a top k and n air filter where a lid should be. Im hoping I found it. Im not 100% sure, but I think my main jet (150) Was 1/2 clogged. I wish I had looked closer, im so use to just seeing a pin hole too look thru that I just looked quick, then I cleaned it and the hole was now huge not a pin hole. I hope that was it, and it was not just my eyes playing tricks. Also Im still worried about the 60 jet which im guessing is the Pilot? Is that not way too big. Hoping for a few answers today that I can try tonight after work. The worst part of all of this is I only have an hr or so after work to try something, and on the weekends here nothing is open so If I want to try jets or something diff I cannot get anything. So anything you all suggest I am buying thru the week in hopes or trying on the weekend. Last edited by Duffieboy; 11-09-2017 at 08:03 AM. ANy suggestions would be great. I would like to work through a list of thing to try and slowly eliminate things. Do you think my jet sizes are ok? Should I remove one of the air filters. 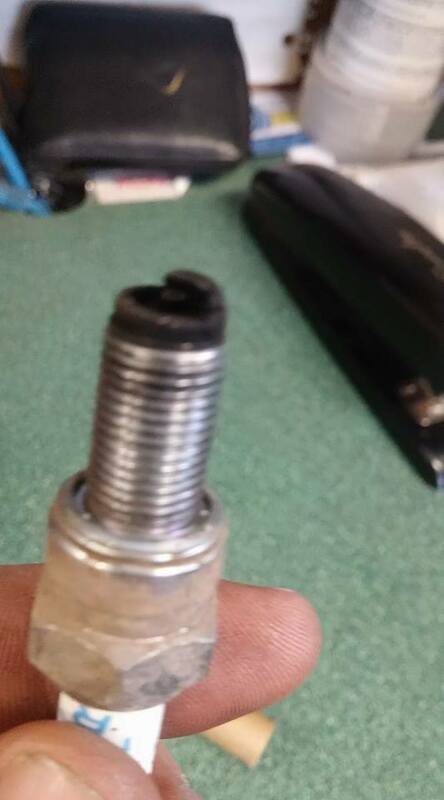 My boss checked the carb before I did which I did not know, so now knowing this im sure the main jet was prob clean.